Reason: Starting out with a very odd choice, the 8-Bit Colour gives your Neopet a pixel-y appearance like they just came out of an early video game. 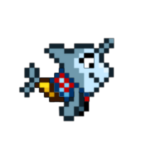 You wouldn’t think there would be something to recommend here since the Neopet’s appearance had been simplified but that’s exactly why I’m able to suggest the 8-Bit Bruce and Flotsam! 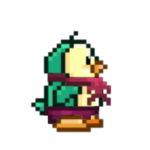 While the normal Bruce wears a bow around their neck, an 8-Bit Bruce instead wears a frilly scarf perfect for the wintery weather. Meanwhile the 8-Bit Flotsam comes with a shirt that’s vague enough you could claim is a sweater like your grandmother would knit you for the holidays. While 8-bit would limit your customisation options to just backgrounds, foregrounds, and trinkets, a creative player can work around it. All they’d need is an 8-bit Power-Up Potion, no trip to the Rainbow Pool required! Reason: What isn’t more precious than seeing a child excitedly open up presents on Christmas morning or maybe sitting around the fireplace listening to bed time stories? If you imagined what I said in your head you probably had the children wearing pajamas. 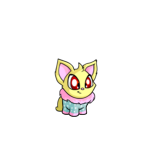 Well the Baby Colour regress your Neopet into what a baby of its species would look like and sometime they come with pajamas to accentuate their cuteness. 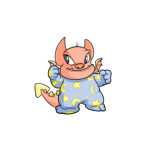 There are other Baby Neopets who come with other accessories like diapers, bibs, and pacifiers but as I said you probably imagined the kids wearing pajamas so that’s what I’m focusing on. Like 8-Bit their limited in customisation but they look more natural so are also easier to base a theme around (and there are some special clothes made to fit Baby Neopets). To turn your Neopet into a bundle of joy you just need a Baby Paint Brush and a trip to the Rainbow Pool (though you may also want to take a stroller with you). Reason: The classic treat, whether you’re eating the biscuits (or cookies if you prefer) with milk or leaving them out for Santa it’s become a common holiday staple. With Biscuit Neopets you have a choice on how much chocolate chips you want your Neopets to have. Be it a lot and have it all over their body like the Biscuit Ixi and Ruki or a few carefully placed chips like with the Bicuit Kacheek and Kau, there’s a Biscuit Neopet who has the right amount for everyone. You could also choose a Biscuit Neopet without any chocolate chips but that’s not usually the image you see in your head when you think of a plate of cookies. A customisation of them standing by a fireplace or in a home kitchen would complete the look. 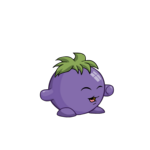 To turn our Neopet into a scrumptious treat you need a Biscuit Paint Brush and a dip into the Rainbow Pool (though afterwards be careful not to accidentally dip them into some milk). Reason: There are actually two ways that Camouflage could substitute for a holiday Colour. The first way colors a Neopet with white, grays, and non-vibrant blues to help them blend into the wintery snow and ice (or snow and ice in general). The Camouflage Bruce and Jubjub are my main choices though there are other species with a wintery camouflage that I looked over due to having brighter blues which I felt stood out too much like the Camouflage Lupe. This is a good choice for those who want to focus on the winter season rather than the holiday aspect. 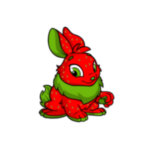 But those who are looking for a more holiday camouflage there are the ones which gives a Neopet a sort of candycane appearance such as the Camouflage Grarrl and Ixi. 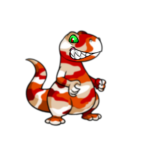 While some Neopets do get candycane stripes when painted Christmas, a camouflage-style candycane gives it a unique twist. Whether you want your Neopet to blend into the snow or have a minty disguise, you’ll need a Camouflage Paint Brush and to sneak on down to the Rainbow Pool. Reason: This is a complicated one as it’s not the species which provides the variety. Upon eating a Magical Chia Pop (not to be confused with a normal Chia Pop; a Magical Chia Pop will have "Magical" in its name) a Chia transforms into the fruit or vegetable that pop is flavored. While I wouldn’t say all the Fruit and Vegetable Chia are holiday related, some are for one of two reasons. 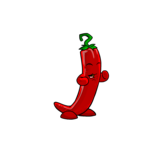 First is cosmetic with the Chia being holiday colors, red and green, such as with the Pepper, Strawberry, and Tomato Chia. If you want something more meaningful there are some fruits which can be associated with the holidays such as the Gooseberry, Grape, Peach, Pear, and Plum Chia. Whatever fruit or vegetable you choose you just need the matching Magical Chia Pop flavor and a Chia to enjoy it, you don’t even need to go to the Rainbow Pool. Reason: What’s better than a cup of hot chocolate? A cup of hot chocolate with marshmallows! And as luck would have it there’s a species that can be turned into one: the Mallow Grundo. 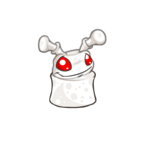 This is another Neopet whose customisation is limited but being it’s made of marshmallow I imagine there’s plenty of opportunity for a humorous customisation. But customisation isn’t the hard part; it’s getting a Mallow Grundo. While you can get one with a lucky Lab Ray zap, your best bet would probably be via the Rainbow Fountain. Whatever way you get one know you not only have a rare Coloured Neopet but also one you can customise for the holidays. Reason: While the Pastel Colour is more associated with Spring and Easter some are colored the holiday colors; red (though its admittedly more like pink in this case) and green. 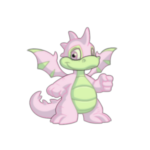 There are two choices with this, either the Neopet is primarily green with red/pink secondary color as with the Draik, Hissi, and Kougra or it’s the opposite with the Neopet being primarily red/pink and secondarily green as with the Scorchio. Though not as vibrant like those colors are usually thought to be during the holidays, the faded colors still present a sort of joy and gentleness to them. 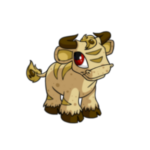 When customising the Pastel’s faded colors could be used to separate the Neopet from the more vibrant holiday wearables, the contrast drawing in the eye. To give your Neopet a bit of a spring for the holidays you’ll need a Pastel Paint Brush and a stroll down to the Rainbow Pool (note if you do decide to stroll be sure to grab a coat as its still cold outside). 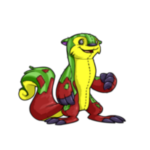 Reason: Toys and the holidays go together hand in hand so a Colour which turns a Neopet into a toy would be appropriate no matter what species. However I’m going to go a bit more specific since there are two Plushie Neopets specifically who I think give off more of a holiday feeling: the Plushie Lupe and Lutari. 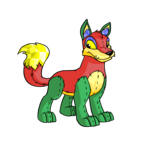 While there are other Plushie Neopets who have small scraps and patches of red and green, the Plushie Lupe and Lutari have them as their main colors. Due to the Plushie Neopets’ patchwork appearance mixing colors you may think that wouldn’t make a difference but when you put the Plushie Lupe and Lutari next to other Plushie Neopets it actually does make them feel more seasonal. It also shouldn’t be too hard to make a customisation with a Plushie Neopet if you go with them looking like a toy. To make your Neopet a cuddly pile of felt and fluff you’ll need a Plushie Paint Brush and to wobble on down to the Rainbow Pool (though don’t have them stay near the water for too long once painted; plushies aren’t waterproof). Reason: Want your Neopet to have a snowy appearance but not be made of the stuff? 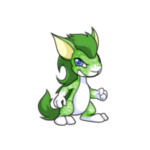 Speckled is quite a good color to give the allusion your Neopet has a pattern of falling snow (despite also being colored green, though you could say it makes the pattern look like falling snow in front of a evergreen tree). While most Speckled Neopets would give off this effect (except for the Usul), the ones I mentioned above have something a bit more. On various parts of their body it looks like the specks have bundled up, similar to how snow will pile up when landing on a surface. So not only do these Neopets look like they have a falling snow pattern but they also look like the "snow" has gathered together on certain parts of their body. 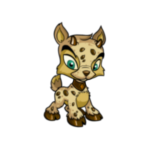 A Speckled Neopet customisation would probably work with an outdoors background, maybe amongst some evergreen trees in a snow storm. To cover your Neopet with snow-like specks you’ll need a Speckled Paint Brush and to dash down to the Rainbow Pool (though be prepared to explain to everyone you pass afterwards that your Neopet isn’t sick). Reason: Most Sponge Neopets are a singular color with their appeal coming from being made out of a squishy and absorbent material (and also only available through the Lab Ray). But parts of some species biology don’t change when zapped into Sponge and one of these Neopets is the Sponge Grundo; and its colors just so happen give it a seasonal appearance. 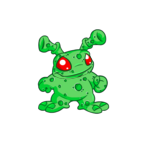 While the Sponge Grundo’s body turns into a green sponge material, their eyes remain unaffected and keep their red color that are seen on other Colour Grundo. And that’s really it, unless you want to stretch the relation to the sponge being a parent’s best friend for a messy child’s holiday celebration (though maybe you can use that as an inspiration for a customisation). Of course before you do any of that you need to get really lucky with the Lab Ray, not even the Rainbow Fountain can help you here (though I guess that makes sense, don’t think Naia would want a Sponge Neopet absorbing all the fountain’s magical water)! Reason: For a similar reason to the red and green colored Fruit and Vegetable Chia, except this time they’re not fruit shaped. This means you have a whole group of Neopets who are colored red and green but can wear clothes making them great for holiday customisations. Of course there are some things you’re going to need to overlook like them being covered by yellow seeds and having leafs and stems, but the first thing anyone would notice is the color and a good customisation can hide any unwanted detail. 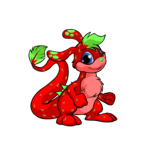 To camouflage your Neopets amongst the strawberries you’ll need to pick up a Strawberry Fields Forever Paint Brush and take a trip to the Rainbow Pool. NOTE: Speaking of the Fruit and Vegetable Chia, you cannot use a Strawberry Fields Forever Paint Brush to get a Strawberry Chia. If you want a Strawberry Chia (who is shaped like a Strawberry so can’t wear clothes) you’ll need a Magical Strawberry Chia Pop. Reason: Just because it’s the winter season doesn’t mean you can’t have some plants to brighten things up. 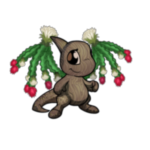 With the Woodland Neopets there’s two ways of using their fauna to give a holiday feeling. Starting with what everyone typically thinks of a Woodland Neopet, there are a few species that have grown flowers. For this article we’re looking at a specific color of flower, ones that has a reddish tone, since combined with the green leafs you get the holiday color combo mentioned many times before. The two main examples of this are the Woodland Cybunny and Ixi but special mention also goes to the Woodland Shoyru who’s wings are actually green cactus which are growing red (and white) flowers. The second way a Woodland Neopet could give some holiday cheer is those which resemble a tree. The Woodland Jubjub and Skeith are just a mass of leafs with bark feet. It would be pretty easy to dress them up like a Christmas tree, even moreso for the Woodland Jubjub if you painted it Christmas before to get its clothing. Or you could just leave them as they are and have them standing in a wintery background alongside other evergreens. 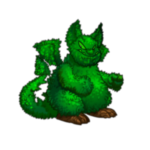 To give your Neopet a literal green thumb you’ll need a Woodland Paint Brush and a hike down to the Rainbow Pool (watch out for splinters after painting them). I’ve feel we’ve come to an end. Now I know many who would argue that I could have included other Colours such as Chocolate, Royal, and Starry but if you are thinking that I think I made my point. Just because there are specific Colours which fit an event, like the winter season, doesn’t mean other Colours can’t be used if you don’t like the obvious options and can get creative. So with that said I hope I had helped, inspired, or at the very least entertained you with ways you can celebrate the holidays without necessarily needing a Colour specifically made for it! The Month of Celebrating approaches and with it comes a warm (or cold!) atmosphere between fellow Neopians, followed by several activities of merrymaking and gift-giving. There are just so many things to do all month long, so I've decided to create a list to help you and your friends make the absolute most out of this merry month. You can choose to do one activity per day, do everything in one go, or do everything again and again every day!